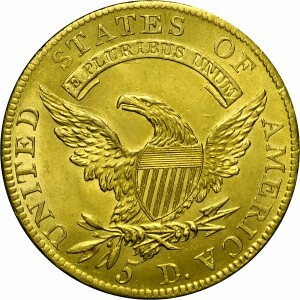 This is the only die variety known from a mintage of 33,875 coins. 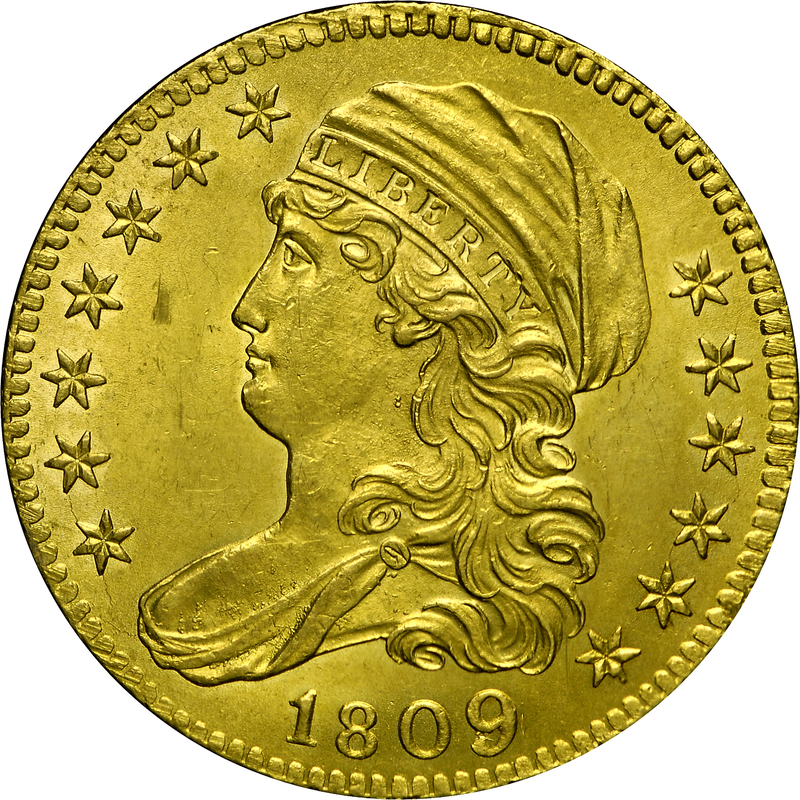 The obverse die is considered by most to be an 1809/8 overdate; however, it may actually represent a digit 9 first inverted and then corrected. This example is of an early die state with very faint obverse die cracks. At the last digit the undertype very strong on this example. 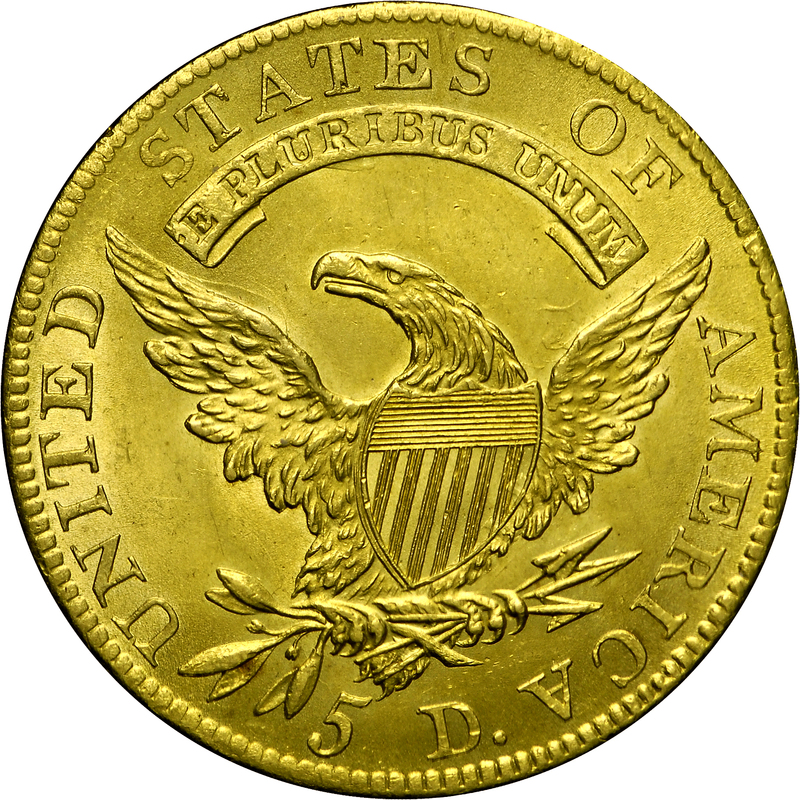 By no means a rare variety, this issue commands considerable attention due to its overdate obverse and also its status as a single variety coinage date. Purchased from Gordon Wrubel, August 26, 1978. "Obverse: 9 over 8(?). Faint crack thru stars 1-7. Crack thru stars 10-13, to hair curl. Double die center punches on jaw in front of hair curl. Numerous rust lumps across lower bust and drapery. 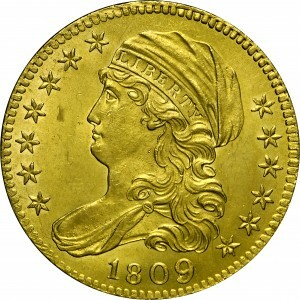 Reverse: That of 1808A. Wide 5 D. Now clashed. Die chatter doubling visible at right sides of AMERICA and below top of 5."